We may tell you which cars we think you should buy, but we generally avoid telling you which specific dealer to buy them from. I'm making an exception for BMW Encinitas, which has ordered a 'Jalopnik Edition' BMW and has put it up for sale. Go buy it. Go buy it now. What if I told you there's a new, RWD, German sedan with a manual transmission, sport-tuned suspension, turbocharged four-cylinder engine, near perfect 50/50 weight distribution, and 18-inch wheels that you could get for $34,745 with the destination? Typically, European carmakers like to add the options on to encourage you to spend way over MRSP (in this case $33,445 for a base 320i) but BMW told me they wanted to offer an affordable performance package for the kind of enthusiast-oriented drivers that made BMW famous in the first place. Reader Justin, who owns an E92 BMW M3, let me know that Sales Portfolio Manager Elizabeth Diomin at BMW Encinitas had ordered exactly that car for sale. A bold move given how few people buy manuals anymore. I contacted Diomin to ask her why, exactly, she'd ordered it. I ordered the cars after reading your article. It inspired me to battle the management. Wanted to make FUN actually happen. Response is great, car guys and gals love to have somebody in the industry who is in touch and on their side. 3 series are ordered 99.99% automatic, we just have this one car come as a stick. If you walk in and ask for the "Jalopnik Edition" 3-Series before the end of the month you'll get invoice pricing. 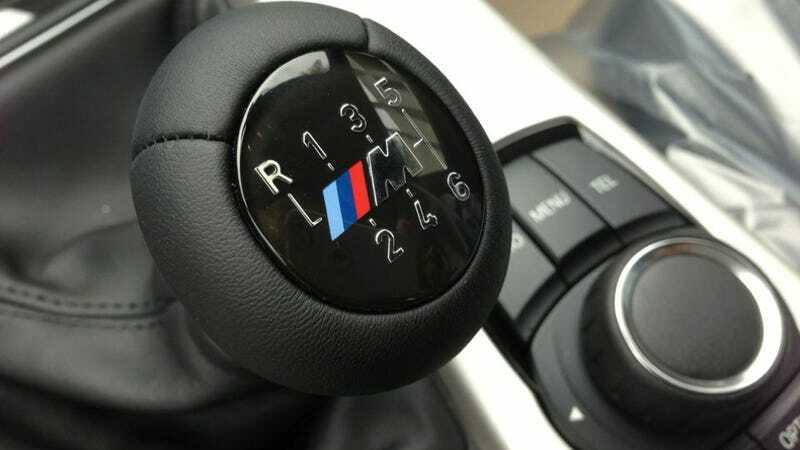 You'll also win our respect and help encourage BMW to build more manual transmissions.